A jigsaw is a type of powered saw consisting of a motor that drives a narrow blade in a rapid up-and-down motion. 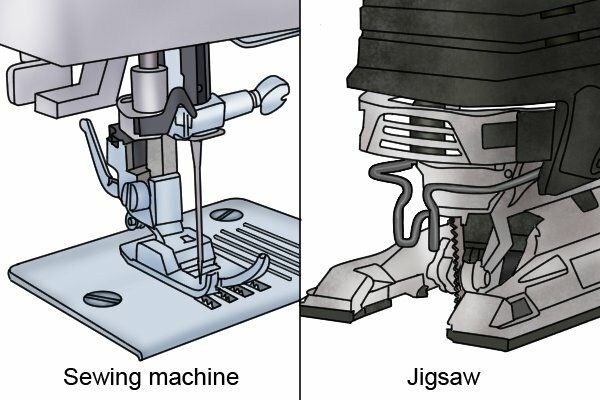 The reciprocating movement of the blade is very similar to that of the needle in a sewing machine. 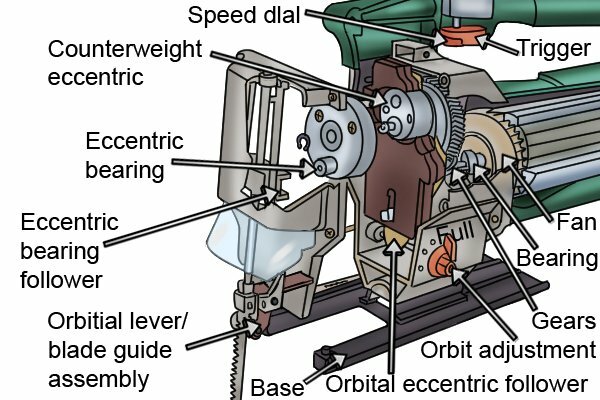 Within the housing of a jigsaw, the motor is connected to the blade by a set of eccentric gears (gears that have axes that are off-centre). These gears convert the rotary motion of the motor into the reciprocating vertical movement of the blade holder, causing the blade to move quickly up and down. 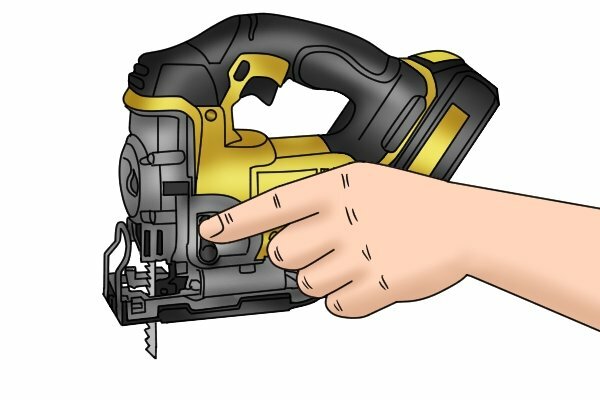 The blade of a jigsaw usually cuts on the upstroke as a result of its teeth pointing upwards. 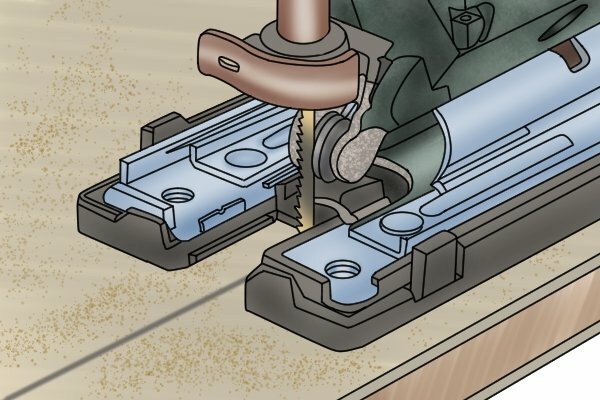 If a clean cut is important, you should turn your workpiece over so that you cut from the back of the material to prevent splintering on the front. During use, the shoe (base) of the tool is placed against the workpiece. The work is pulled against the shoe as the blade cuts up and through the material. The speed of most machines can be altered using a variable speed dial. This feature, along with the orbital action function, enables the user to control the cut and work with different materials. High speeds are used for wood, with slower settings employed for plastic and metal.